Alex Barbary (in red) put Horsham YMCA ahead in their 1-1 draw with Newhaven. Picture by Derek Martin. In the battle between third-placed Haven and second-placed YM, the visitors took the lead before the break through Alex Barbary. YMCA looked to be on course for victory until Lee Robinson’s header in the game's dying embers saw the points shared. The Gorings Mead-outfit remain in second but are now 12 points behind table-topping Chichester City with four games to go. Chi need at least a draw at home to Langney Wanderers next weekend to secure the title. Buckland said: “Sometimes you get more than you deserve in football. If we won and I was on the other side I would have felt a bit aggrieved. “They defended resolutely my boys, they came off exhausted, and to be honest they were deflated. “When you are, and this isn’t an exaggeration, 15 seconds from taking all three points you would be a bit flat. “I gave them 15 minutes on their own to have a sulk up and have a chat amongst themselves. “I said to the lads afterwards ‘we were so close, however you are no worse off than before the game started’. Newhaven started brightly and could have gone ahead in the early stages after creating several great opportunities to catch out the YM defence. The onslaught continued throughout the first 30 minutes but YMCA prevented Haven from capitalising. Barbary had a brilliant chance to put YM in front but somehow missed from six-yards with the goal gaping. However, Barbary atoned for his sins with a goal on 42 minutes after a wicked deflection from his shot wrong-footed the home keeper. The second-half saw Dean Bown hit the bar on 57 minutes, but as the game wore on the host began to test the YM defence. The backline remained resolute until the very last action of the game. A long ball to the back-post from a Haven throw saw two YM defenders fail to track Robinson’s run and the division’s topscorer headed home at the death. 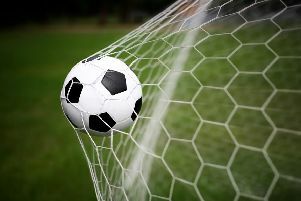 There was not even time to take kick-off as the referee called time on a dramatic game of football. 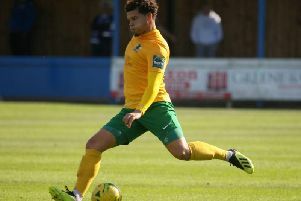 Buckland added: “It was a bumpy pitch, and that’s not a criticism of Newhaven. They’ve got lovely facilities. “It wasn’t much of a spectacle to be honest. I think the occasion, such as it was, got to both sets of players. Horsham YMCA: Jeal, Carden, Evans, Gilbert, Harding, Hunt, Ryder, Gedling, Bown, Barbary, Hartley. Subs: Nwachukwu, Gill, Frankland, Eales, Wadhams.